"...Oregon Repertory Singers' album Shadows on the Stars celebrates the music of some of the most exceptional composers from the Pacific Northwest. 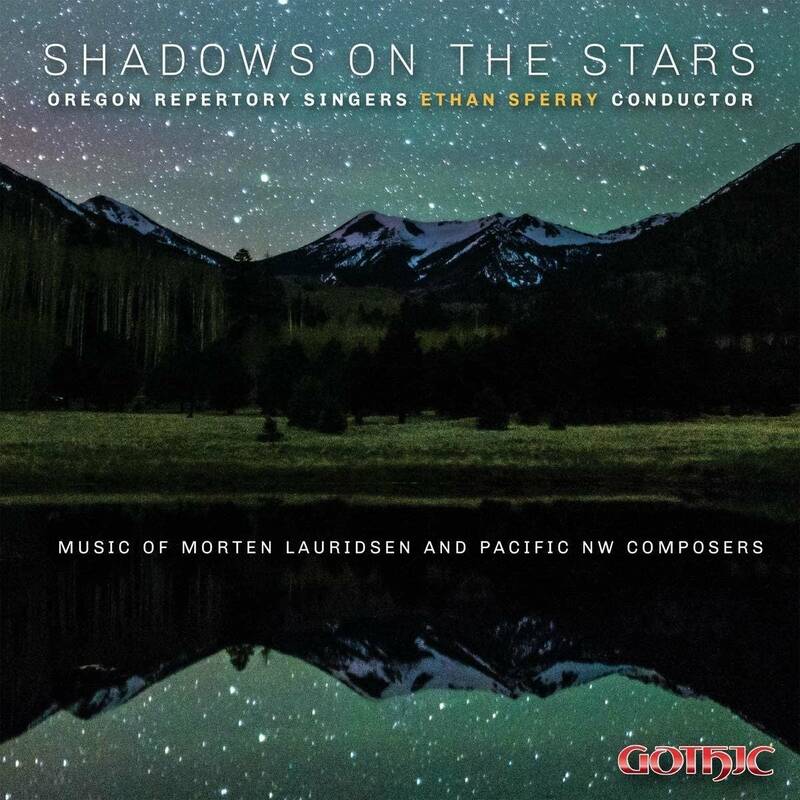 Shadows on the Stars features works by Joan Szymko, John Muehleisen, Giselle Wyers, Stacey Philipps, Steven Goodwin, and Naomi LaViolette, alongside brand new and long-beloved works by Pacific NW native and world-renowned choral composer Dr. Morten Lauridsen. The album includes both session and live tracks, including the choir's live performance of Lauridsen's Madrigali and Sure on this Shining Night..."